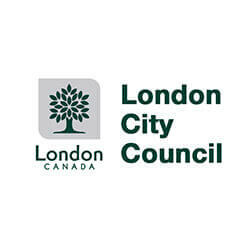 In a vote to bring more casino games to London, a group of councillors decided to allow the influx of the casino machines, albeit by a narrow vote. The public meeting, which had more than a dozen attending, was to decide on the future of the expansion of casino games in the famous city. The committee voted 7-5 in favour of a new casino complex project that had been proposed by Entertainment Limited and Gateway Casinos. The project is expected to cost around $140 million in total, and will see a bigger casino presence in London. It is estimated that the new project will bring 1200 slots and 50 table games to the Western Fair District. Councillor Stephen Turner has told reporters that the project may affect the city, even if they were to move the project to a different location. “We’re really backed in a corner here,” he has stated. The decision is part of an on-going investigation set in place by the city committee to find out how the revenue from gaming venues could help problem gaming in London, as well as in Elgin and Middlesex. Despite the narrow vote, director of public affairs Rob Mitchell believes it’s still a step forward for the project. “The next step for us is a process of education to show that we really want to contribute to the economy, we want to create meaningful employment in the communities in which we operate,” Mitchell told reporters.